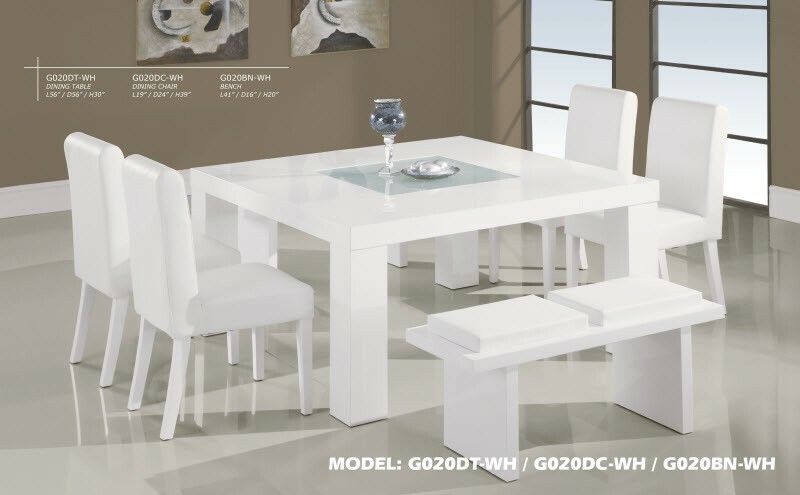 Table L56" x D56" x H30"
Chair L19" x D24" x H39"
Bench L41" x D16" x H20"
Bring elegance and modern style to your dining room with G020DT-WH dining set. Constructed of solid wood, table comes in a square design and features safely built-in tempered glass insert. Its durable rich white finish protects the top from scratches and thick bold legs insure stability and add more style. 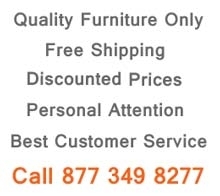 Comfortable chairs offers full cushioned seat and back wrapped in white leather and completed by matching wood legs. This modern 7 piece dining set can be purchased in any combination and also offers a cushioned bench.